Donald and Melania Trump take their first walk as President and First Lady. It has been quite the new beginning for 2017. Now let us get accustomed to what seemed like the most unlikely of outcomes; i.e., the election of Donald J. Trump as president of United States of America Corporation, who managed to make it through the inauguration. Perhaps it was never in doubt, but it sure seemed that way. I am not writing this as a Trump supporter, nor as a critic. To be either would be a giant waste of time and energy. 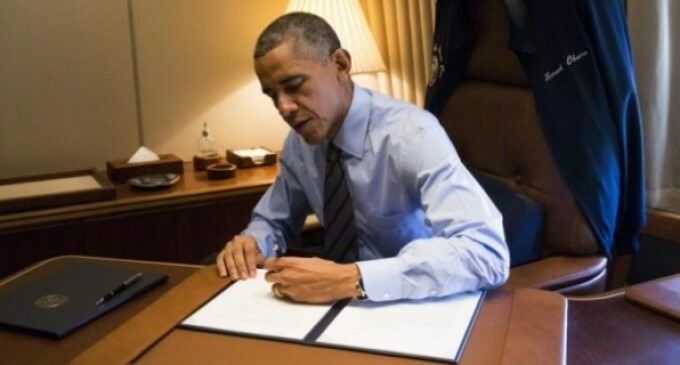 As I have written on numerous occasions, the individual who plays the role of “Commander in Chief” is a focal point of public attention, with all the indicators and trappings of power, but he takes orders and implement policies and directives that originate from sources other than the American People. You may find it hard to believe, but the President does not serve The People. If anything, he oversees their “management,” on behalf of those “behind the scenes” functionaries. The last president that dared attempt to take actions that would benefit the American People, was John Fitzgerald Kennedy. His killing, November 22, 1963, which seemed so senseless and cruel to me just 3 days into my 12th year on this planet, was a sad day indeed. 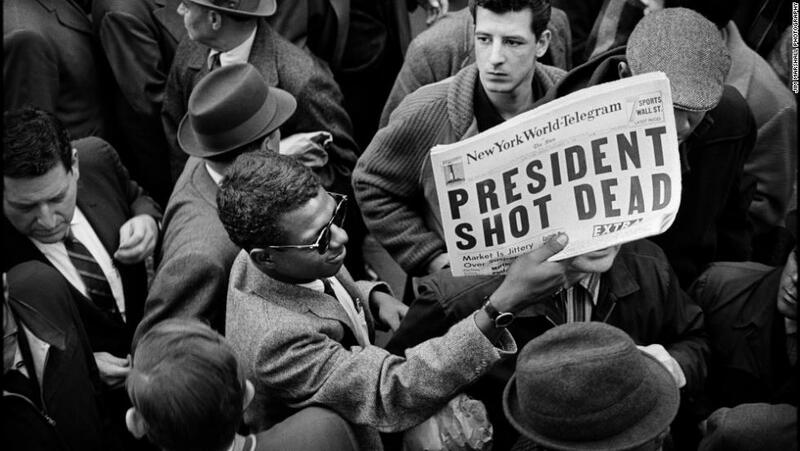 November 22, 1963 ~ one sad day for a 12-year old boy… and for the world. I am not saying that the president does not serve The People to suggest that we have no power. Quite the contrary. Not only do we have power, we are the Power that makes things happen in this world… not just Americans, but The People of Earth. We use language, cultural, ethnic, and other factors, like religion, to emphasize our differences and even justify hostilities. They make it easy to dismiss or overlook so much that we have in common. How does this behavior qualify as *being* the change that you seek? Yes, there are people who simply want to take from the “rich”, but what we don’t realize, is that we are “the rich”. What is being taken from us ~ to the extent that we allow it ~ is hope, imagination, health, and our opportunity to grow and evolve in conscious awareness of the Amazing Power that is Within each of us. I just finished reading The Secret Science Beyond Miracles (1948), by Max Freedom Long. It is an amazing treatise on the work, philosophy, and science of early 20th Century Kahuna culture in Hawaii. These people were the healers, sages, and wise men and women of their communities. They had a working knowledge of who they are, and their connection with both ancestral spirits (consciousness), and the Aumakua or “High Self”. When you read what the Kahunas did routinely, day in, and day out, before the “Christianization” of Hawaii, you have a clue of powers that are vested in all Human Beings. Fire walking was just one of many amazing practices that were commonplace in Hawaii. But just as Hawaiians were induced to turn away from their working traditions to adopt new religious customs that did not work (Kahunas facilitated healings that modern medicine still can’t begin to fathom), so have we been taught to turn to the human “authority”, whose motivations are generally more for his or her institution’s gain, than for yours or mine. Why do you think there’s such a constant and incessant push by corporations to get your attention or gather information about you? It’s because bringing ideas to your attention, acceptance, and adoption makes them real, makes them spread and grow. We’ve been groomed and conditioned to be great workers and consumers… followers who need “heroes” and “leaders” to “look up” to. We’ve been taught to believe in a false inequity, created by force. Then, taught by abusers, we equate “force,” coercion (another form of force), and the use thereof, with authority, “civilization,” “freedom”, “truth”…. even love. So it’s no wonder that certain “clans” of people, who have maintained cooperative relationships for hundreds, if not thousands of years, and who are well prepared and experienced to exploit the minds of multitudes, have shaped our worldview, relying on our proclivity to trust, as the indigenous people of the Caribbean did when Christopher Columbus arrived in 1492, looking for new sources of gold so that King Ferdinand and Queen Isabella could fund their wars, and decided that he could use force to subjugate these people. ed States (PDF download), by Howard Zinn (1980 Longman), brilliantly documents instance after instance of deliberate, willful actions that, like a plague, infected, and then devastated the lives, cultures, traditions, and histories of millions of people. It will soon become evident that Columbus was the instrument, not the instigator, of these actions, just as POTUS has also had to jump through hoops set by current-day counterparts. Last year (2016), Barack Obama signed the DARK Act into law, which in essence, directly dishonored the People’s mandate that food products that involved genetically modified components be labeled. It struck down a law that passed in Vermont, and preempted labeling laws in Connecticut, Main, and Alaska, seed labeling laws in Vermont and Virginia, and prevented other states from adopting such legislation in the future. And we just accepted this??? 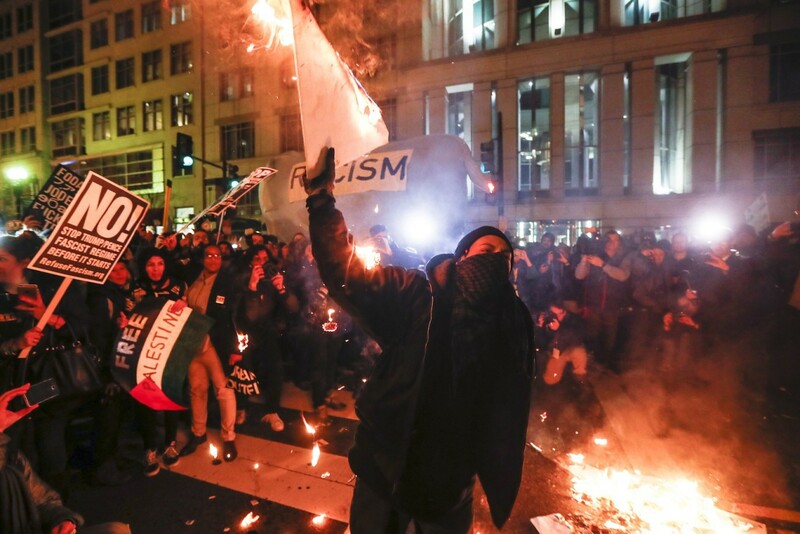 Where were those people who were in the streets of Washington D.C. the other day breaking windows and burning cars, when Mr. Obama’s action was an affront to all to them, and Hillary Clinton would have continued the policies? New problems created, none solved by calculated, organized, destructive acts. This is not to say that Mr. Trump is inclined to repeal the DARK Act, since he hasn’t been required to offer an opinion about it. Source: The Organic & Non-GMO Report. Protests and acts of violence maintain tension and divisiveness, which tend to elevate the perceived need for security and harsh or “tough” responses instead of discussions about issues that need new approaches. The GMO debacle is just one of many. Mr. Trump is an “outsider,” but he’s an outsider who is on the inside. He would have had to be in order to be acceptable by the people/organizations that Washington actually works for. Notice how Israel was just fine with his election. President-elect Trump even insinuated himself into the U.N. Security Council condemnation of Israeli settlements on the West Bank (See Dec. 2016 Story), giving an indication that he would be more “pro” Israel. Never mind that Mr. Obama was directed (also in 2016) to send an $3.8 billion donation to Israel for 10 years, to do what they please, which generally means spending money on weapons that, among other things, they use against Palestinians on the Gaza Strip. Donald Trump and Israel P.M. Benjamin Netanyahu. Mr. Trump has already invited Israeli Prime Minister Benjamin Netanyahu to visit Washington in early February. To his credit, Mr. Trump was the only candidate, among the Republican contenders and in the runoff with Hillary Clinton, who offered anything approaching sentiment that could be construed as desiring to establish peaceful relations between Israeli and Palestinians in the region. Everyone else babbled “tough talk” about “enemies” and vigilance, totally deaf, dumb, and blind to atrocities that Israel has been party to, like the false flag attack of the U.S.S. Liberty June 8, 1967, that left over 200 people either dead or wounded. But then, that’s the larger web at work, because evidence is that factions in Washington, including President Lyndon B. Johnson, were complicit in the operation. May actually be how they “manage” the larger population. As such, Monsanto may actually be providing a service of population management for United States of America Corporation. Mr. Obama’s signing the DARK Act into law, after it was passed by both the Senate and House of Representatives, would simply allow the company to know it won’t be subject to any indemnification efforts when the wheels of this great travesty finally fall off the bus. We are so ready to point fingers at each other, demanding change in the other, without looking in the mirror. The problem with this is that it cuts both ways. What we seek, expect, or demand from others, we must also be willing to give. More specifically, we must be able to embody. If you know that your life matters, then it is your responsibility and opportunity to demonstrate that this knowledge is active, by showing others that you value their life too. If you know that all life is sacred, and every human is a Gift, then look for that Gift within yourself. As you exercise it and share it, you’ll start noticing it in others. Strength will come, because it will be much harder to divide, when “enemies” become friends. Here’s a short glimpse of Howard Zinn. If you don’t read his book in its entirety, just familiarize yourself with some of the scenarios that he chronicles. It’s not the history that you learned in public school (after getting up-to-date on your shots).